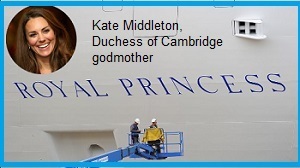 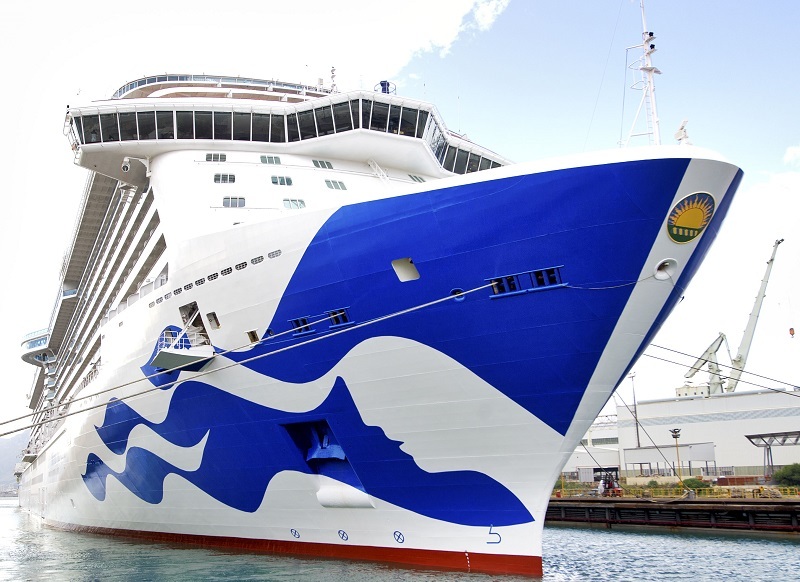 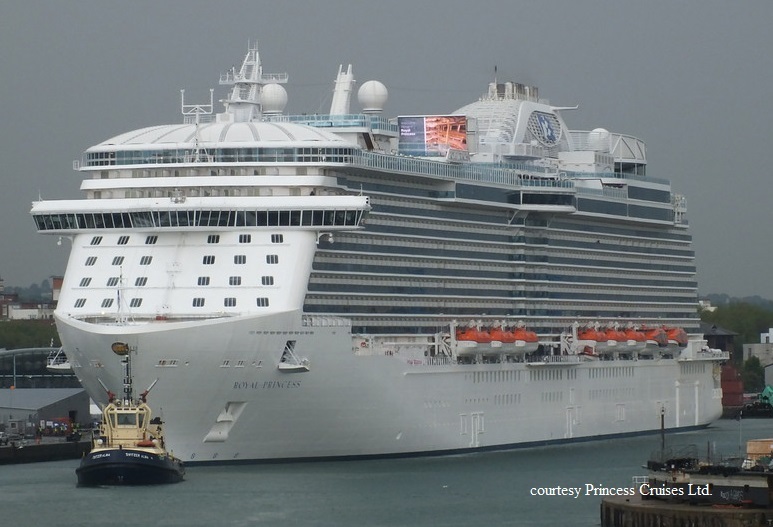 Sept. 22-2013 Princess Cruises' newest cruise ship, ROYAL PRINCESS, lost power for several hours midway through a 12-night Mediterranean cruise. 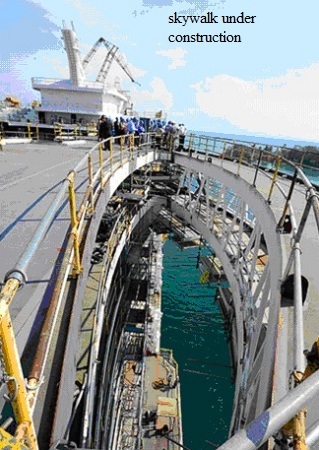 Emergency generators supplied power for essential services, such as toilets, during the outage, and full power has since been restored. 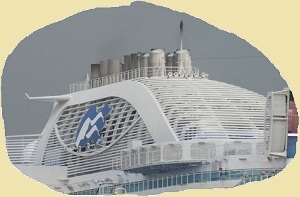 The loss of power occurred as the ship was en route from Mykonos to Naples, at 1:30 p.m. local time. 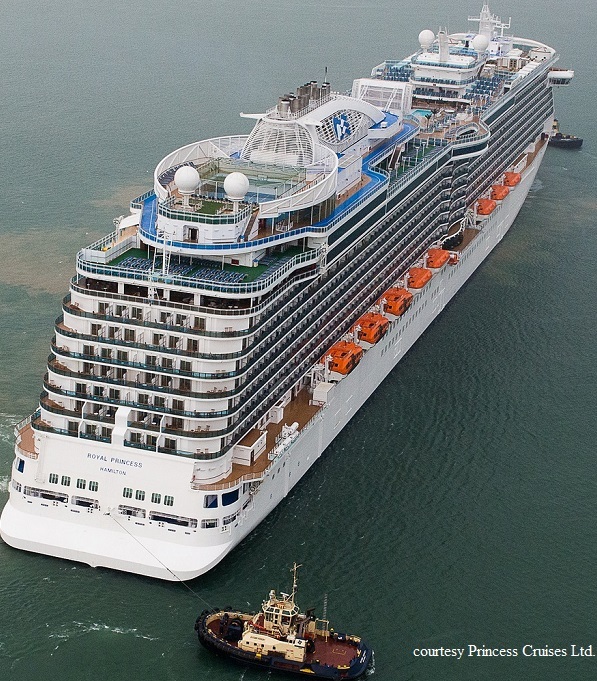 The ship will be taken out of service for repair and the remainder of its current sailing will be canceled following a power outage onboard on Sunday. 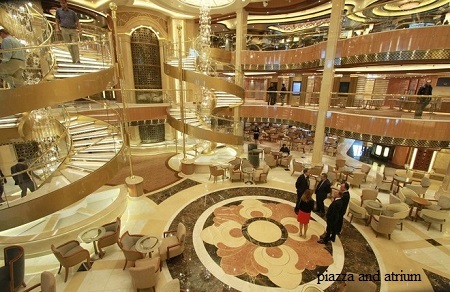 Once in Naples, passengers will be disembarked and flown home. 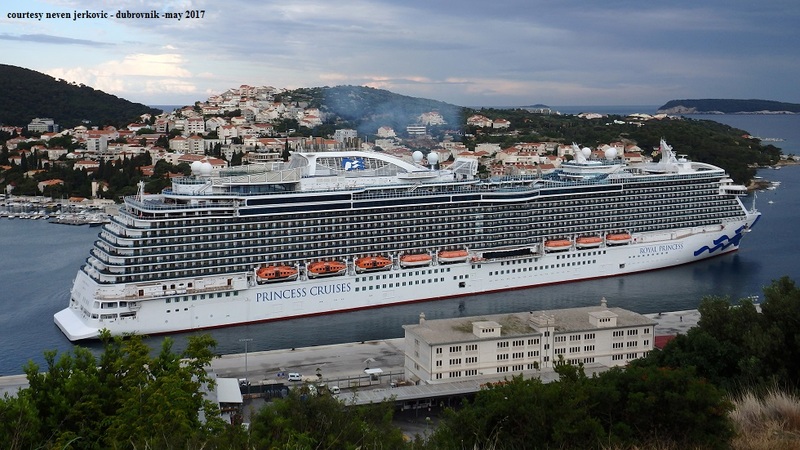 Princess is making all flight arrangements for passengers and has promised to provide a full refund of the cruise fare as well as a 25 percent future cruise credit. 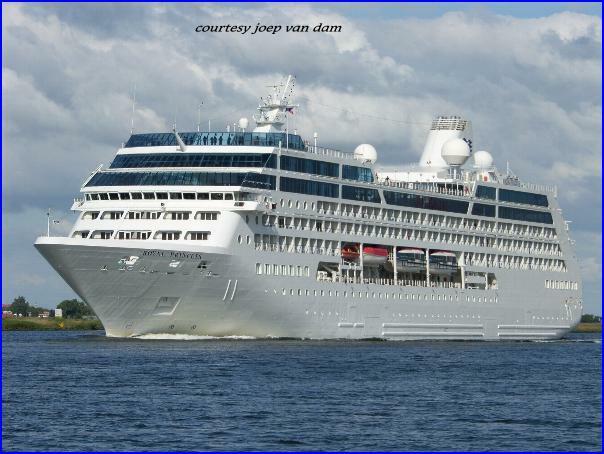 The line said that passengers will likely spend Tuesday night (Sept. 24) onboard the ship and depart on Wednesday (Sept. 25). 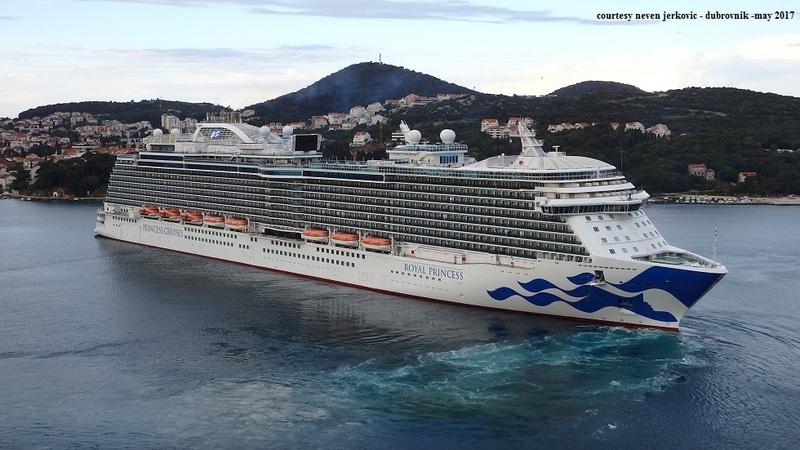 According to a spokeswoman from Princess, additional problems with plumbing, electrical and air conditioning systems reported by passengers are unrelated to the power outage. 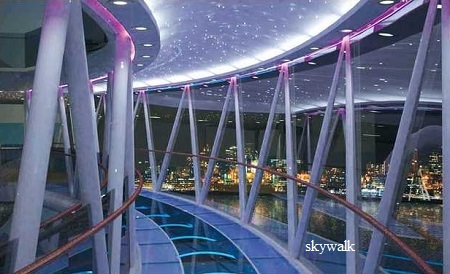 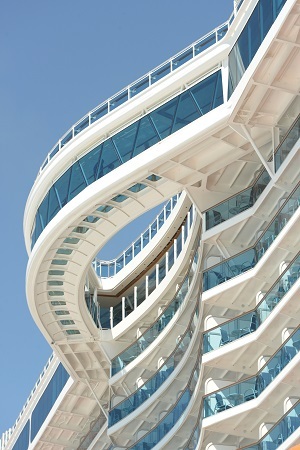 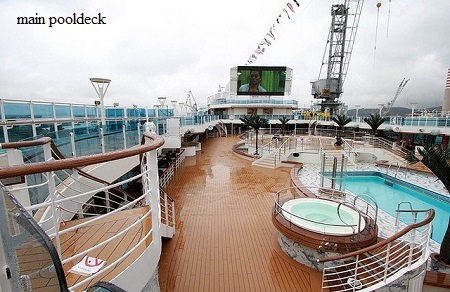 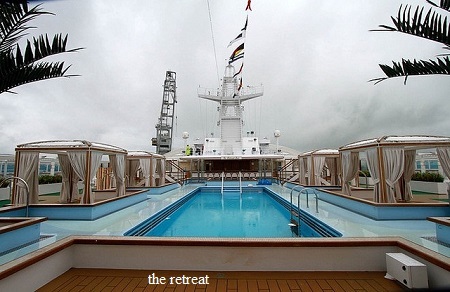 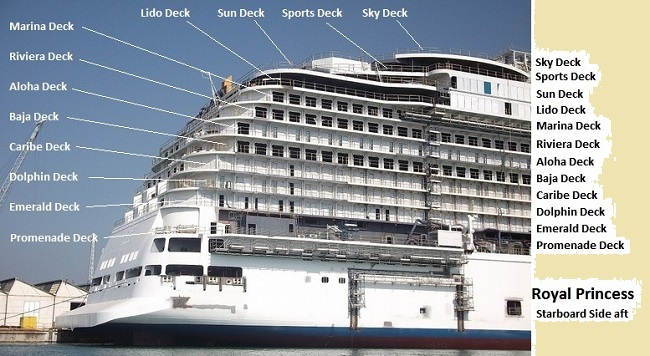 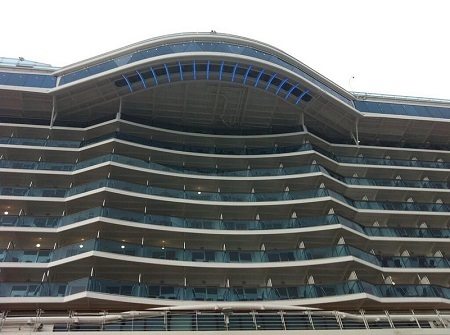 New feature of the ship: on the starboard side, the steel-and-glass Sky/Sea-Walk will curve 6 m. beyond the side of the ship, 39 m.above the water. 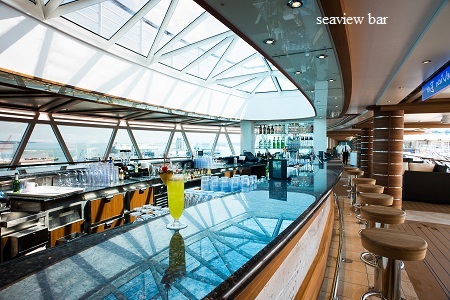 On the port side a matching bulge will contain the glass-bottomed SeaView Bar. 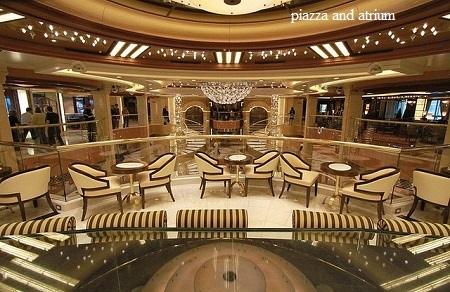 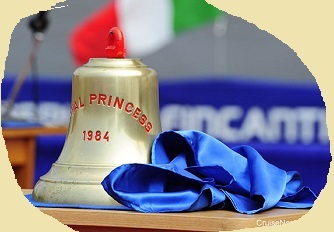 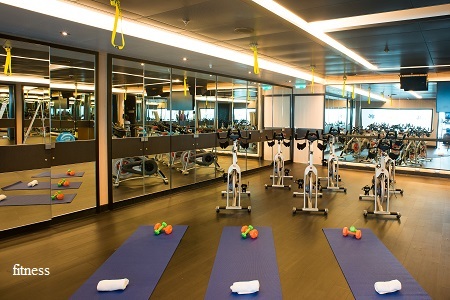 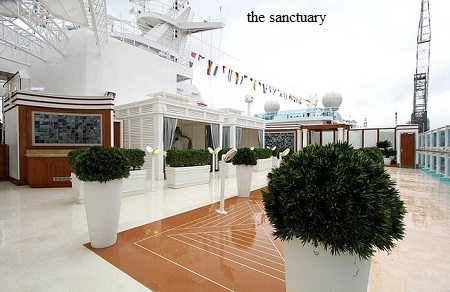 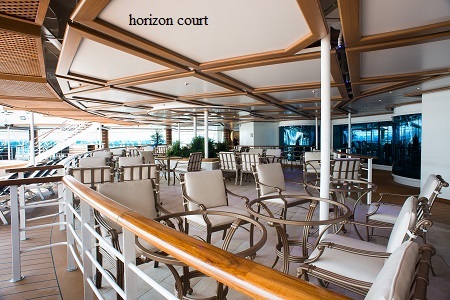 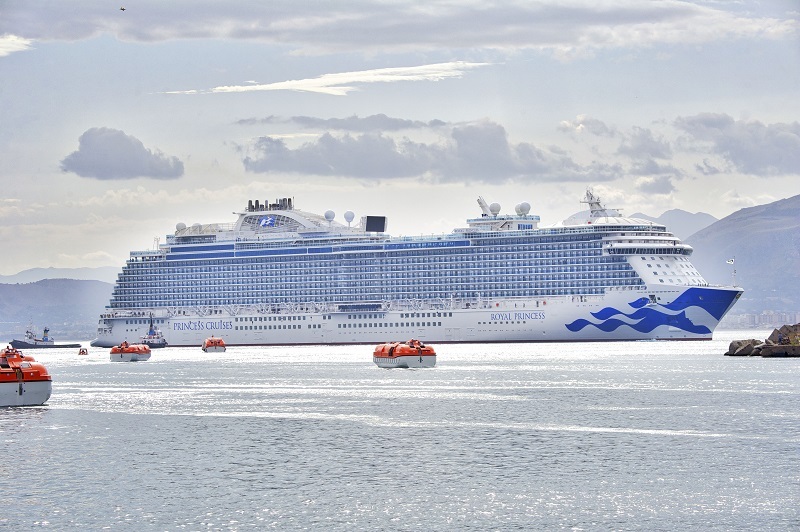 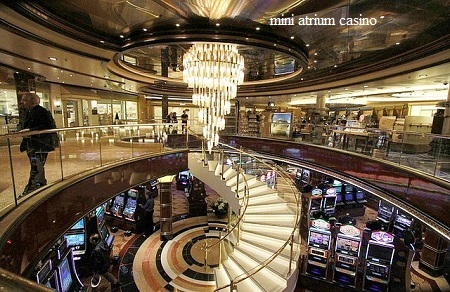 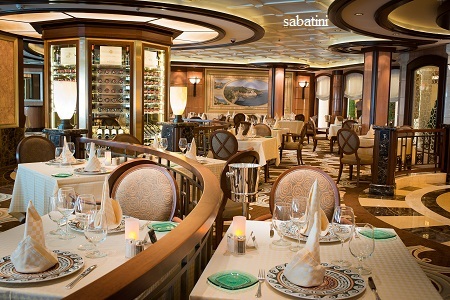 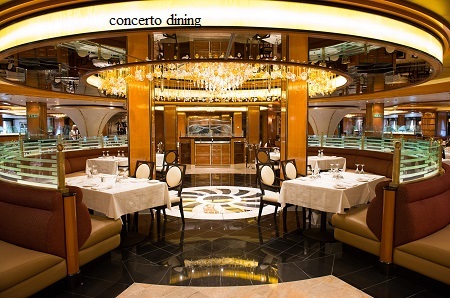 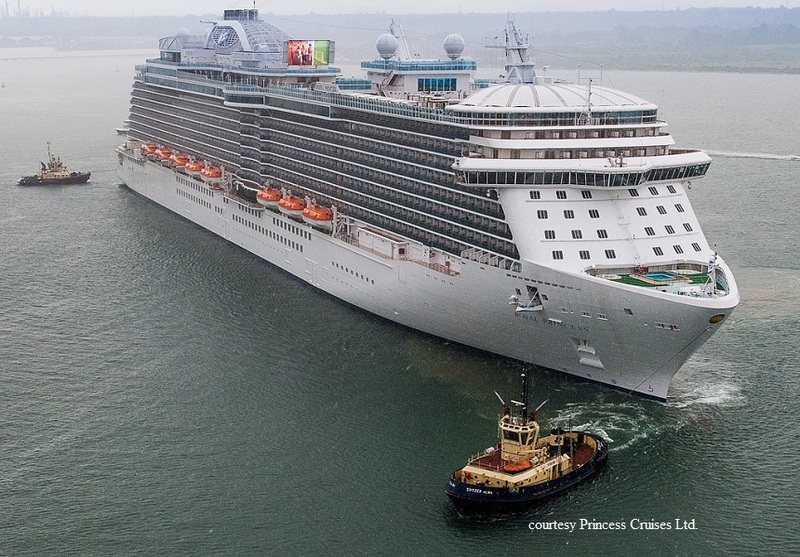 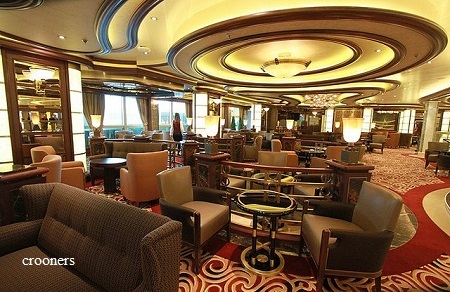 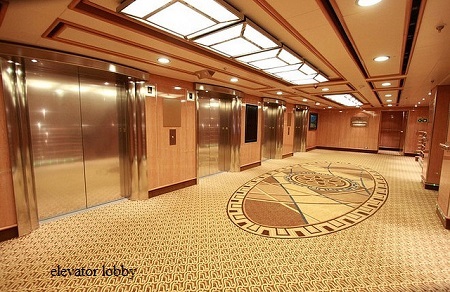 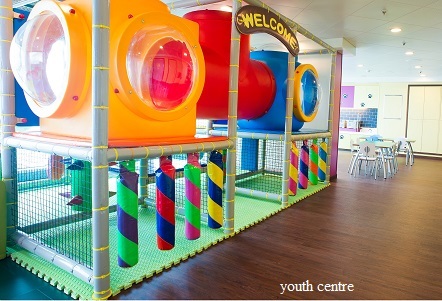 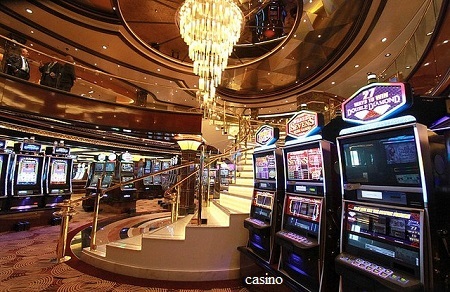 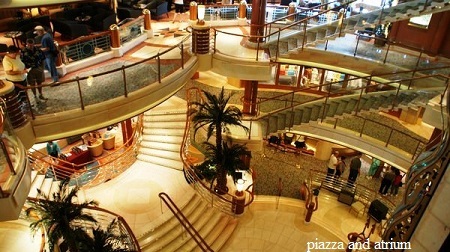 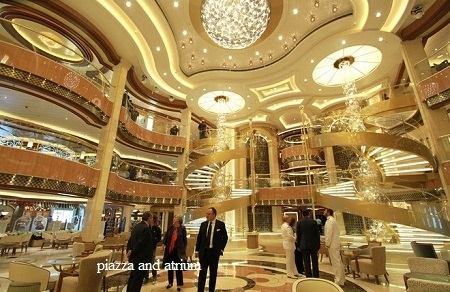 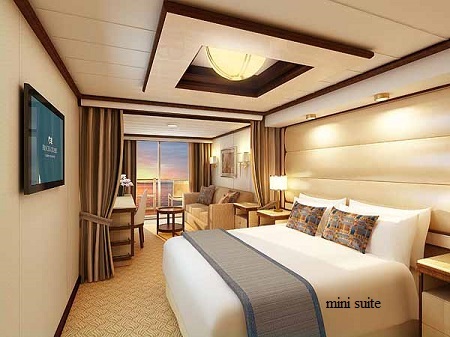 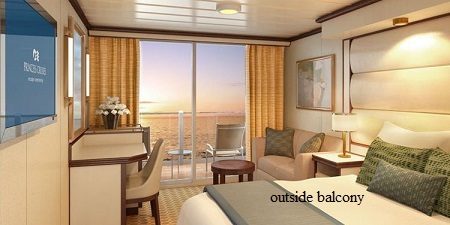 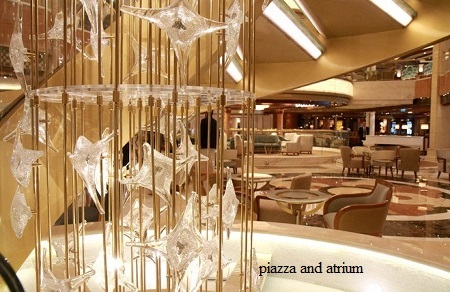 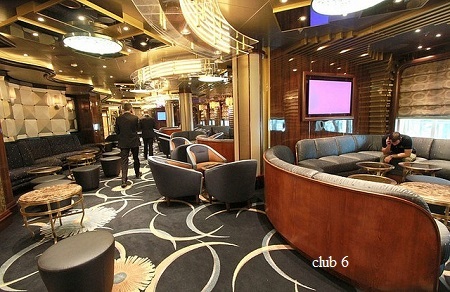 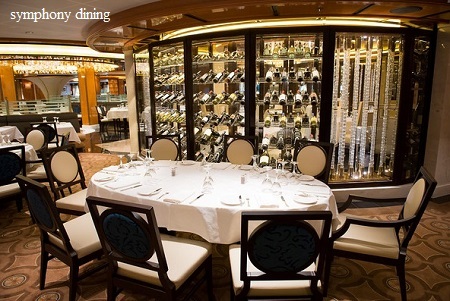 All images courtesy Princess Cruises Ltd.